Often the best entrées are those that surprise your guests, unusual dishes they never thought of preparing (let alone eating!) before: this recipe is probably one of those! 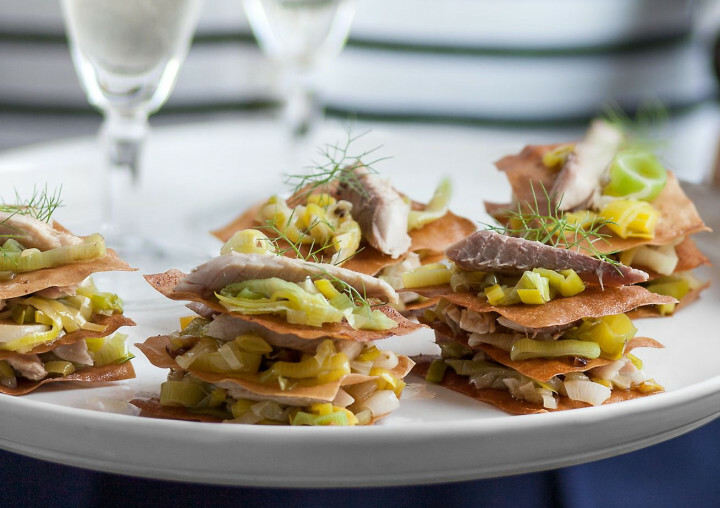 The balance in these one-bite delicacies comes from the great combination of a crunchy ingredient, the baked filo pastry, with the softer, flavourful elements of the leek and the mackerel fillets. Try serving them to your family and friends, we are sure they won't be disappointed! There's something magical about homemade pies: just thinking about them evokes memories of cosy Sunday afternoons at home, mum baking in the kitchen, the aroma of fruit and sugar all around, and a cup of tea waiting for us. 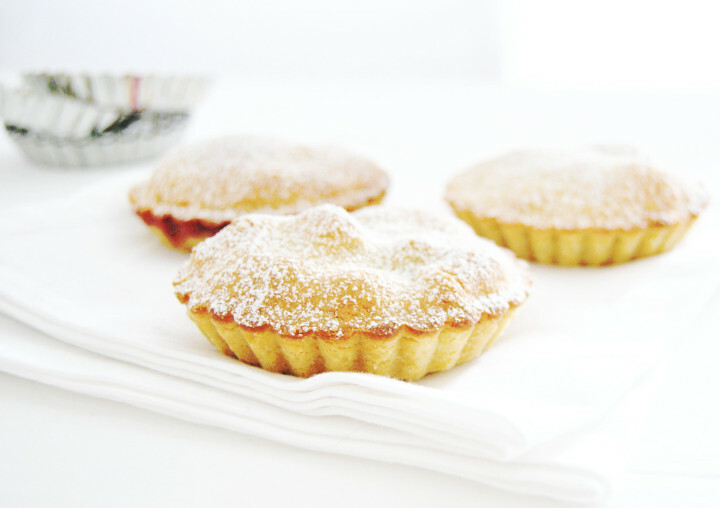 Apple pies are among the most famous and loved cakes, not only in Italy, but in many countries around the globe.. in the end, simple, genuine things are always the best. 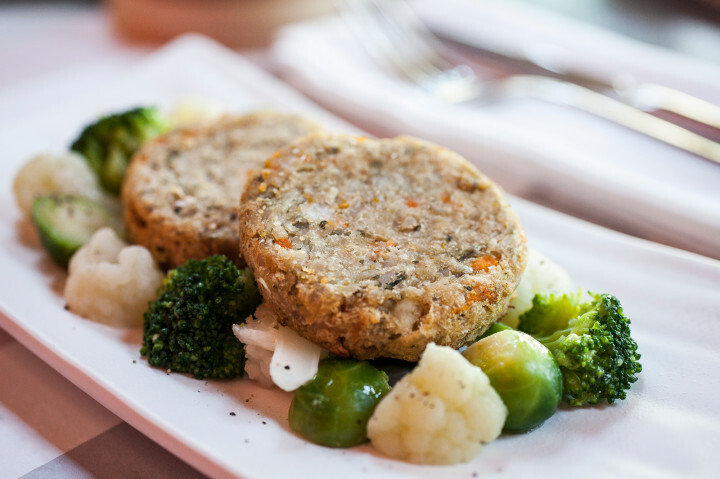 A vegan burger recipe with brown rice and veggies. 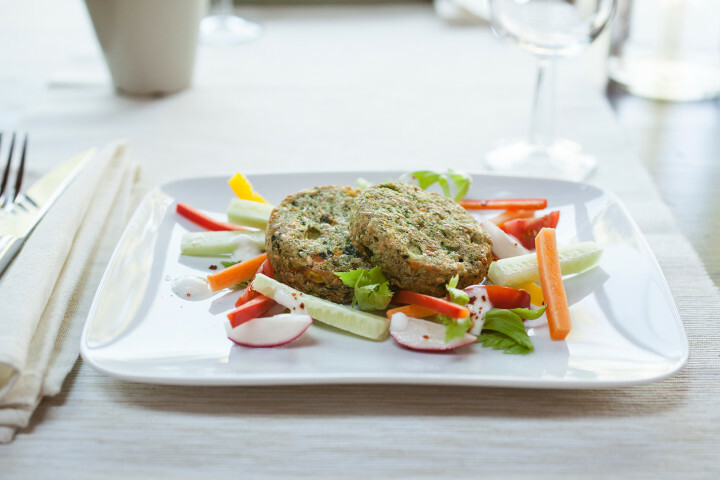 A vegetarian burger recipe with artichokes and goat cheese. 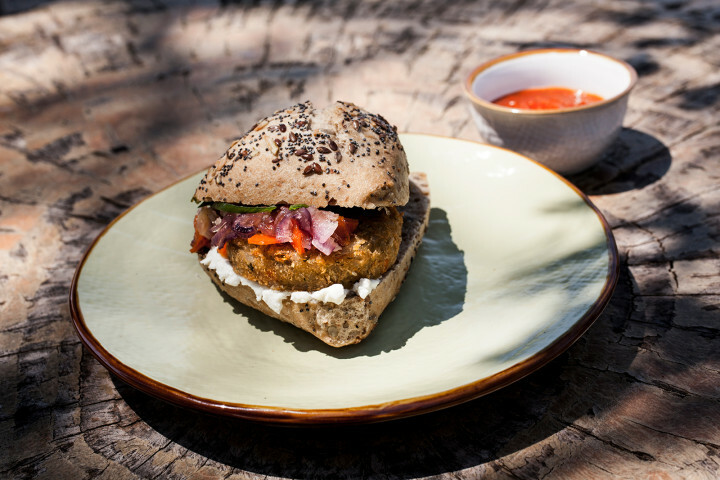 A vegetarian burger recipe with quinoa and greek yoghurt. A synonym of quality and sweetness, Amarena Fabbri was born over 100 years ago from an idea of Rachele Fabbri, wife of founder Gennaro Fabbri. Since then, her recipe has remained unchanged, and it is kept a secret to this very day. 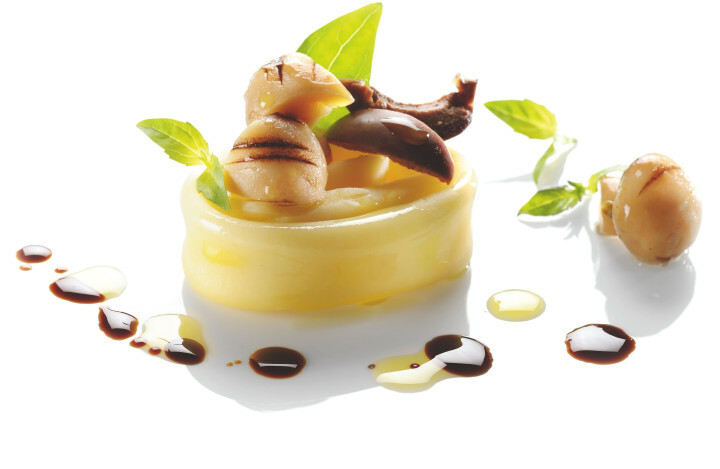 Amarena Fabbri is a perfect ingredient for any specialty pastry, as well as for stuffings and decorations. Ideal for an elegant aperitif and a fine accompaniment to sweets and desserts, it is also amazing combined with cheese or meat. Today, as in the past, Amarena Fabbri continues to enchant the world not only for its taste but also because of its unmistakable ceramic jar with white and blue decorations, which Gennaro ordered for his wife as a loving gift to thank her for this exquisite specialty. 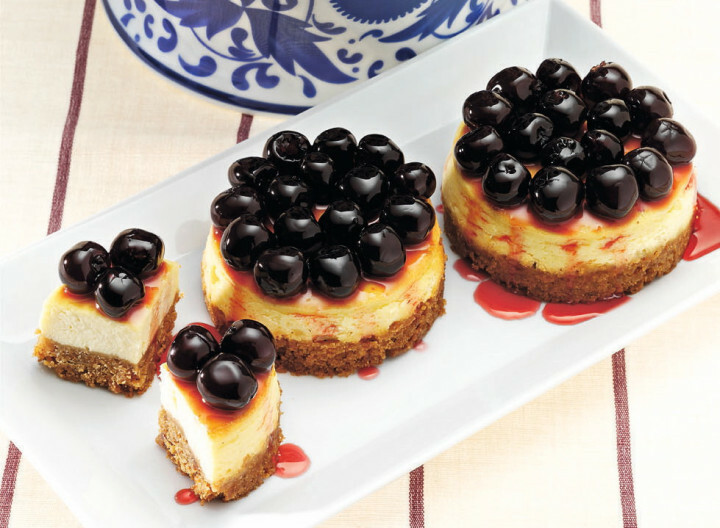 Here is the iconic cheesecake recipe using Rachele's amazing black cherries. 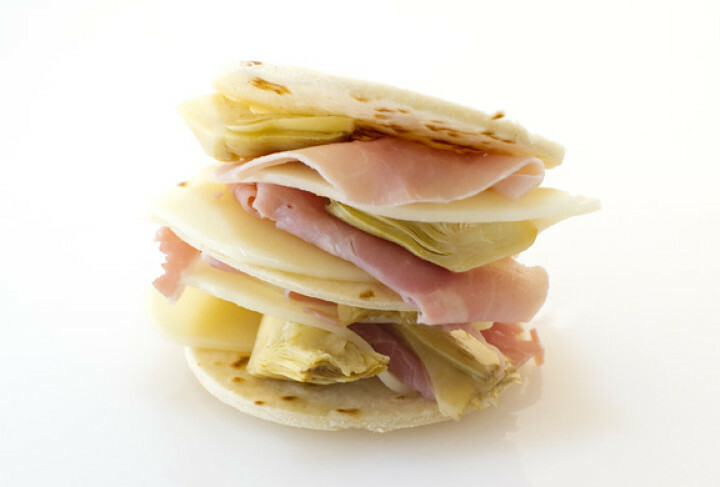 This might be exactly the snack you were looking for: a delicious multi-layer 'sandwich' made of piadina bread, ham, Provolone cheese and vegetables. Quick and easy to prepare, these dainties are ideal in any occasion and are perfect as part of a buffet or as a meal starter. 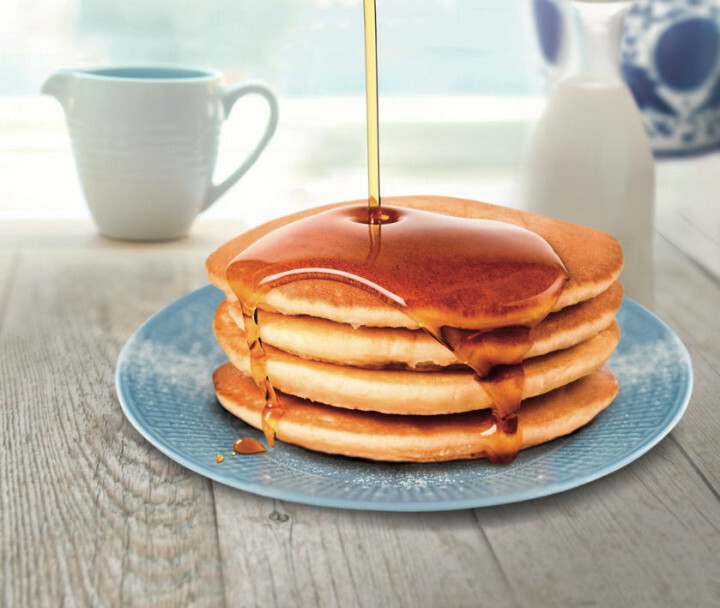 Did you know that Shrove Tuesday is also called Pancake Day? This is because people participate in pancake races. Running with a frying pan containing a pancake, you must be able to flip the pancake at least three times during the race in order to win. Among the most popular breakfast recipes in the United States, pancakes are very easy to prepare. Here is an example! Panettone is a very versatile ingredient, you can eat it just as it is, you can assemble cakes with it, make bon bons, as well as little chocolates! Not bad, uh? Try out this recipe and delight your friends and family by offering them the tiny delicacies along with a cup of coffee or with some scented tea! 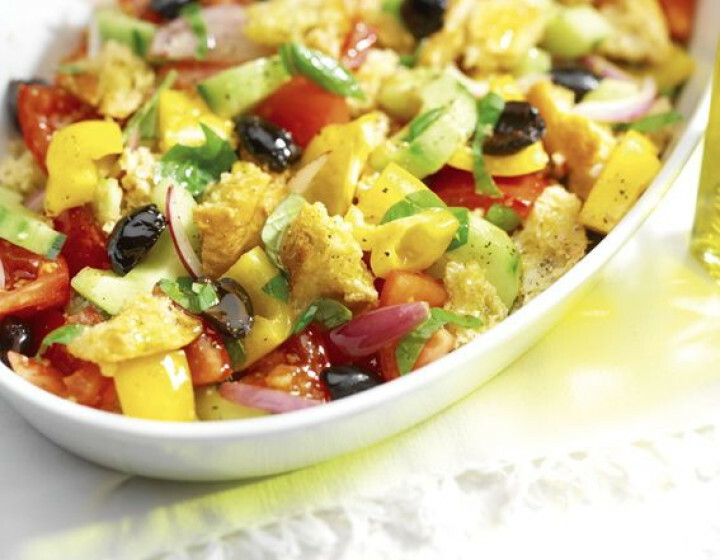 Quick, easy, yummy! Everybody likes puddings, whether it's vanilla, chocolate, rice.. the choice is so wide, there has to be one you can't resist! And we think that the one here in this recipe might well become your favourite pudding.. Intrigued? Then give it a try - you won't be disappointed! This tempting snack resembles a little the famous American peanut butter and jelly sandwich, a beloved tea time accompaniment for children (but sometimes adults too) in the US. Our version (an Italian one!) features Panettone instead of sliced bread, raspberry jam, hazelnut cream and a delicious home-made caramel.. What are you waiting for? Panettone served with mascarpone cream is one of the most classic and successful combos. Simple and quick to prepare, the version we propose here is very light and delicate. Ideal in every situation, from special occasions to everyday meals. 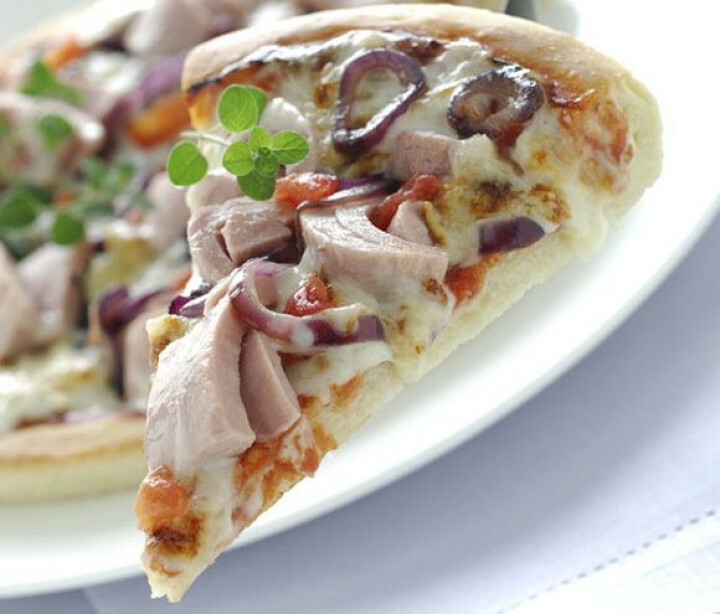 Enjoy the best of Italian simplicity in a single dish! This recipe calls for a few very tasty ingredients, such as kalamata olives, grilled champignon mushrooms, basil and balsamic vinegar, which for sure symbolise the Italian cuisine worldwide. Quick and easy to prepare, this pasta is ideal on busy days, but it also makes a great buffet dish for a party or a barbecue or for a dinner with your friends.